On August 17, Genesys AppFoundry announced Premium Client Applications for the PureCloud platform. The Premium Client Applications enable you to purchase third-party integrations and add-ons from Genesys AppFoundry. 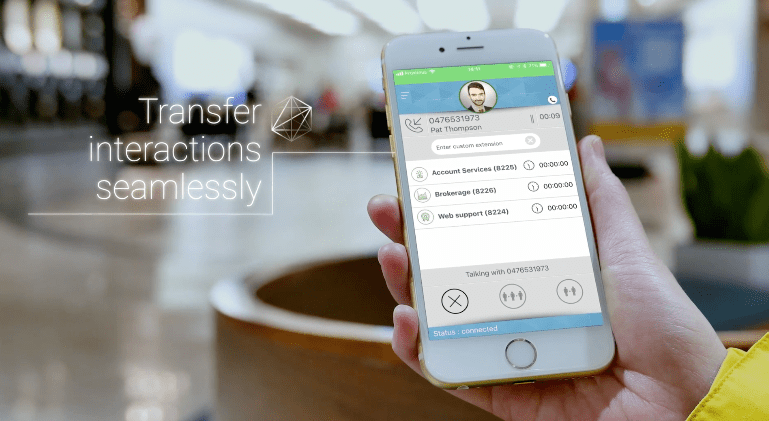 These integrations reduce implementation time and the friction to improve customer service environments. We truly believe that removing friction simplifies your day-to-day business. To qualify for a Premium Client Application, each AppFoundry vendor is required to provide an automated installation and setup. For the end user, deploying a Premium Client Application takes less than five minutes. We’d like to introduce you to our new Premium Client Application vendors in the AppFoundry Ecosystem for PureCloud. Voci V-Spark Speech Analytics integration into PureCloud is now simpler since you can deploy it straight out of PureCloud within the cloud. Take advantage of the most accurate and most complete speech-to-text transcription engine on the market. Seamlessly integrated with PureCloud, you can send your recorded calls straight to Voci’s engine and expose the full text with punctuation within the V-Spark App. Managing customer interactions from a mobile device improves productivity for customer experience managers. Ideal Systems integrated their Mobile Office Solution into PureCloud so that you can now deploy and enable the full mobile office experience at your fingertips. Read the blog “What If Your Best Agent Is Not An Agent?” for more information. 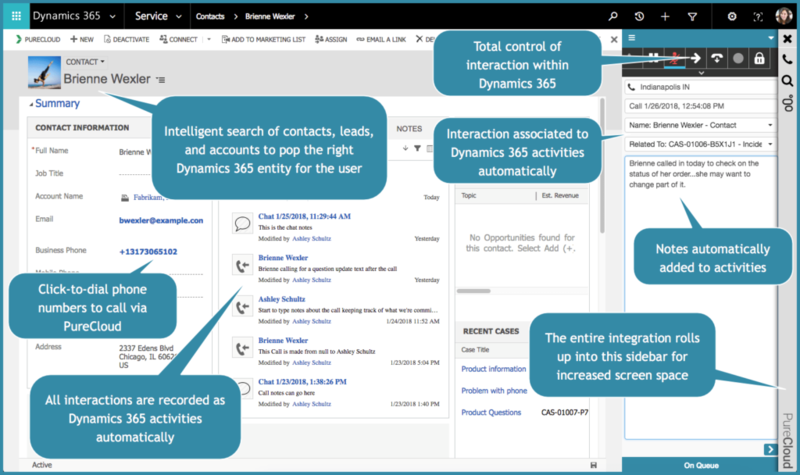 With Avtex InteractionSync for PureCloud, agents now have access to a fully-integrated PureCloud experience from within Dynamics 365, as a Premium Client Application. This allows you to integrate your PureCloud installation into Microsoft Dynamics365 without any manual integration effort, and you can deploy the Avtex instance right out of your PureCloud. eMite Dashboard combines Genesys PureCloud data with other data coming from solutions outside Genesys PureCloud in order to provide you with a comprehensive dashboard by combining these values or at least showing all data at a glimpse. Their dashboards are highly configurable and deployable within seconds. 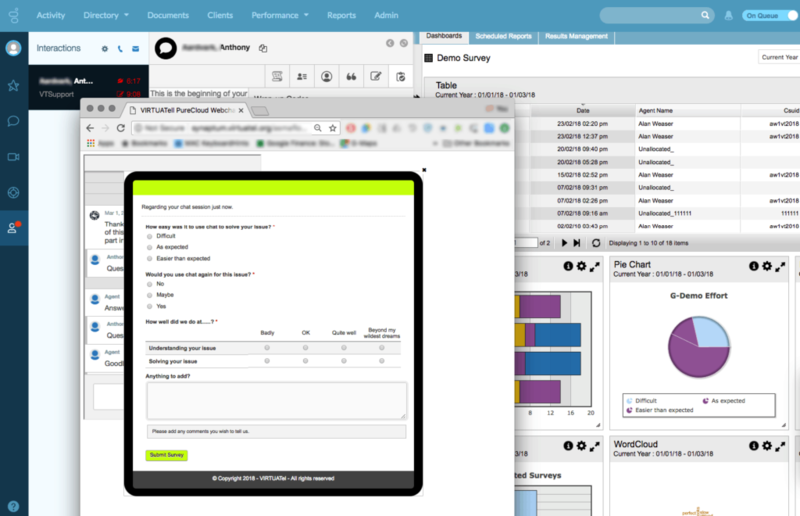 Survey Dynamix is a cloud-based solution provides an intuitive web-based interface that allows users to create and automatically conduct highly flexible surveys. Through a number of unique capabilities, Survey Dynamix enables businesses and organizations to collect real-time, actionable insights from customers, anywhere and at any time. nGUVU teamed up with Genesys to revolutionize contact centers by creating a better everyday work experience with their gamification platform. Agents are at the center of the omnichannel customer journey and our employee engagement platform motivates them to achieve their objectives. 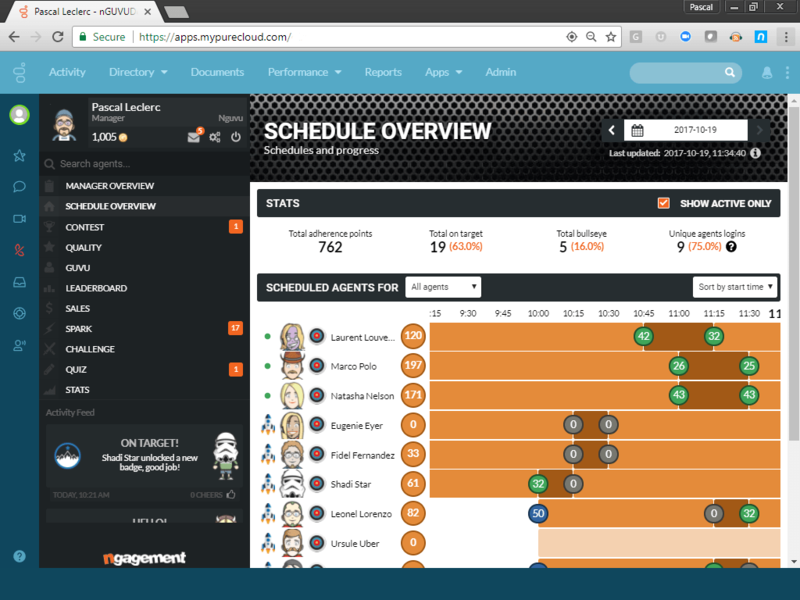 nGAGEMENT is the perfect employee engagement in addition to your Genesys PureCloud platform. The configurable PureInsights dashboard features continuous updates in real time with color-coded alerts to quickly assess the status of your contact center. The dashboard is browser-based so it’s accessible from anywhere, including mobile devices. The user interface is extremely flexible and responsive. 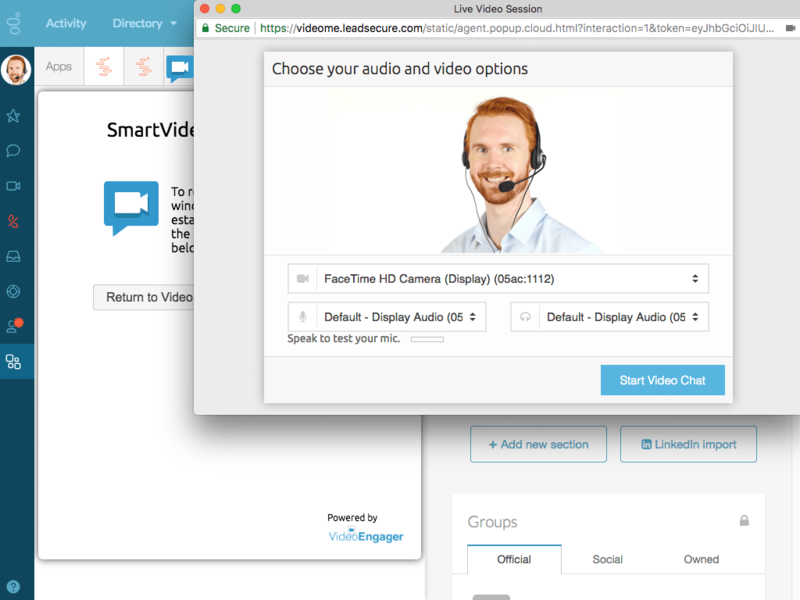 SmartVideo for PureCloud allows for customer- agent escalation from chat, email, voice, SMS, and social media to live, interactive video chat that will enhance the customer experience. The customer-agents are able to interact using best in class audio and video technology on any device, on any internet connection, using any desktop or mobile browsing application. VIRTUATell offers their CX feedback surveys via phone, email, web, chat, and SMS to PureCloud. 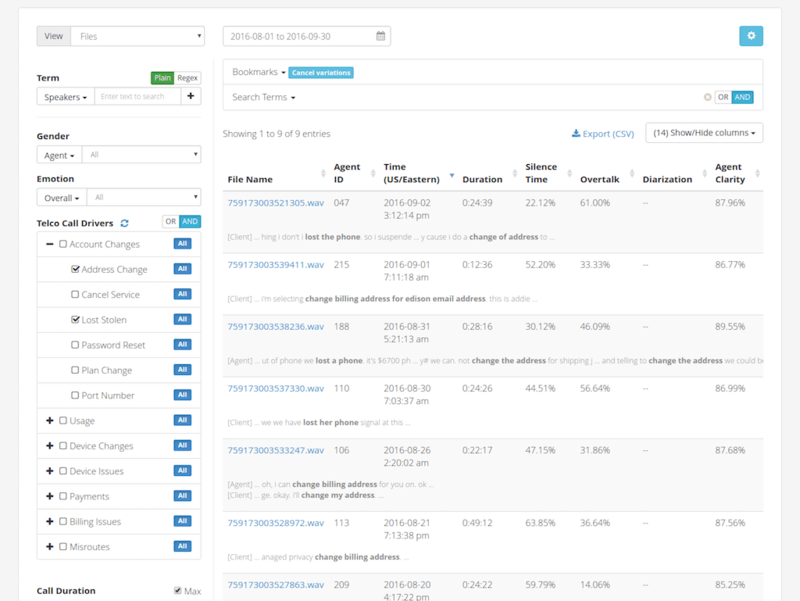 Synaptum already has a great track record with successful integrations into PureEngage and PureConnect. Now you can deploy it straight out of PureCloud within minutes, read the blog Improve Business Decisions With an Integrated Customer Feedback Tool in your contact center. To find out what’s available for each Genesys platform, browse our unique selection of offerings in AppFoundry and discover new ways to improve your customer experience.